Are you dealing with acne problems? BioClarity can help. 2. How Does Salicylic Acid Work? 3. What Are The Benefits of Salicylic Acid? 4. How To Use Salicylic Acid for Acne? 5. Is Salicylic Acid Safe for All Skin Types? 6. Does Salicylic Acid Have Side Effects? 7. How Does Salicylic Acid Compare to Other Acne Medications? Struggling with stubborn acne that won’t seem to go away? It might be time to add salicylic acid for acne into your skincare routine. This acne-fighting ingredient has become a staple in the most effective skin care regimens, and its ability to rid the skin of pimples—and prevent new blemishes from forming—has made salicylic a popular skin care marvel. Sometimes, gentle over-the-counter (OTC) facewashes, cleansers, gels and serums don’t deliver the powerful punch your skin needs. If you’re struggling with acne – whether it be cystic or hormonal, mild or severe – learn the benefits of salicylic acid treatment and how it stands to benefit your complexion. You’ll find salicylic acid in many skincare products, either prescription-grade or OTC. It’s accessible and easy to implement, and definitely worthwhile in your effort to rid yourself of troublesome pimples, blackheads, and blemishes. This article will teach you the ins and outs of salicylic acid, including what it is, how it works, and the way it differs from other acne treatments. Equipped with this information, you’ll be well on your way to regaining control of your complexion and rediscovering your radiant glow. Whether you’re seeking treatment for a new onslaught of blemishes, or in need of a way to revitalize your existing skincare routine, salicylic acid might be able to help—here’s how. Due to the intimidating strength of its name, it’s easy to understand why some might be skeptical to incorporate salicylic acid in their skincare products. However, this acne-fighting agent is derived from a plant-based hormone and probably isn’t as strong or scary as you’ve been led to believe. Salicylic acid is the most common type of beta-hydroxy acid (BHA): an organic chemical compound whose hydroxy structure is separated by two carbon atoms. Its chemical composition is significant because its structure creates oil solubility and allows for pore penetration. Salicylic acid is both highly keratolytic and comedolytic; this means it not only helps remove dead skin cells and improve the body’s natural exfoliation process, but can also get into deeper layers of the skin and work below the surface. Salicylic acid penetrates skin and breaks up cells within the epidermis. The epidermis (the skin’s outermost layer) contains cells which stick together in the inner lining of pores, known as desmosomes. When these pores become clogged with dirt, oil, dead skin or debris, they lead to blemishes such as those pesky whiteheads and blackheads we know—and hate. The oil-soluble quality of salicylic acid and BHAs allows them to reach deeply into the sebum-filled pores. There, it exfoliates the pore lining, loosens clogs, removes impurities, and allows oil to flow more freely. Salicylic acid is pH dependent and requires an acidity level of 4 or lower to effectively exfoliate and treat acne at maximum capacity; higher pH levels can render its potency and may even make it useless. Read your labels before deciding on a product to ensure its quality. What Are The Benefits of Salicylic Acid? Salicylic acid for skin can make a world of difference in your complexion’s appearance. Products containing this acid can smooth, tighten, firm, and brighten your skin—among other benefits. Some of these benefits have been proven, while others are still on the fence. Here are the top scientifically-backed reasons why salicylic acid continues to be a popular ingredient in acne-fighting solutions. Prevention of Comedones: Comedones are usually the precursor to acne. They appear as small bumps which contain debris, sebum and (sometimes) bacteria within a dilated hair follicle. As comedones develop, they can either remain open (blackheads) or closed (whiteheads). When these clogged pores continue to fill beneath the skin’s surface, pus, inflammation, infection, or even cellular rupture can occur. Using salicylic acid not only treats existing acne, but can prevent comedones from forming by getting deep into pores and loosening the particles therein. When the debris is broken apart, it’s much easier to remove and manage, and can proactively curb acne formation. Exfoliant Properties: As an exfoliate, salicylic acid softens and dissolves keratin, a protein that helps form the structure of the skin. Dead skin cells are much easier to slough off after keratin has been broken apart. By weakening the cellular glue, so to speak, exfoliation reveals healthy, younger skin cells. In addition to treating acne, salicylic acid can diminish fine lines and wrinkles by promoting collagen growth. When you use it as an exfoliator, you slough off dead skin cells and apply mild acids that can prevent future breakouts. Drying Effect: Those struggling with blackheads, clogged pores, or any type of acne induced by congestion will benefit from salicylic acid’s ability to loosen plugs and dissolve debris. When salicylic acid enters the pore, it absorbs oil and creates a slight drying effect. With an opening that allows sebum to flow more freely, and less oil trapped inside the epidermis, pores are less likely to become clogged and create blemishes. Anti-inflammatory: Salicylic acid has the same anti-inflammatory ingredients as aspirin, which explains why some (mistakenly!) suggest making DIY facemasks with the pain-killer. Don’t do this; aspirin was not formulated for topical use and can irritate your skin, but salicylic acid is designed with skin in mind. It can reduce swollen, red and inflamed pores due to its soothing effect, resulting in a more balanced skin tone. Those with post-inflammatory hyperpigmentation can use salicylic acid’s anti-inflammatory properties to correct sun and age spots as well as inflamed acne. Spot Treatments: Salicylic acid for acne is commonly found in spot treatments, which instruct application onto a small area of skin affected by acne. When applied directly onto a blemish, it’s great at removing size, color, and inflammation. Place a dab of gel with high salicylic content and watch your pimple disappear overnight. Spot treatments are great for the face and can be used in cheek, forehead, nose, hairline, and both jawline and chin acne treatment. Exfoliator: Salicylic acid for skin treatment can be used as a daily or weekly exfoliator. Similar to a toner, apply salicylic acid onto freshly washed skin and let it absorb for up to 30 seconds before washing it off. This is considered a safer method than higher strength concentrations but can still deliver similar results. 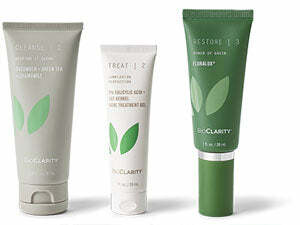 It’ll rapidly make your skin appear brighter and more refined, but will continue to clear pores with additional usage. Face Wash: You can also apply a low-dose salicylic acid for face wash as a cleanser or toner to treat and prevent acne. Make sure these formulas are low in strength or risk drying out the areas of your skin unaffected by acne. Remember to always pat, not rub, your face after cleansing to avoid harming your complexion further; abrasive rubbing can exasperate blemishes, causing them to spread and/or lead to cellular damage. Peels: Salicylic acid peels have been proven remarkably effective, but should be done no more frequently than every two weeks. The strength of a peel is significantly stronger – approximately 30% concentration – and can damage the skin if performed too often. Be sure build up your skin’s tolerance to a chemical peel, starting with low-grade doses, before going all out. When peels are done correctly, they dramatically clean clogged pores and calm swollen pimples. In general, always start slow when using acids. Conservatively begin your acne treatment with a lower concentration and work your way up to higher doses to see what your skin can tolerate. A good rule of thumb is to place a small amount of product on a patch of skin and see how it responds before applying it all over. Pick up a product (with the right strength and pH level!) that complements your skincare routine and watch its magic work. Are you having issues with acne? Try our solution. Is Salicylic Acid Safe for All Skin Types? If you’re interested in using salicylic acid treatment for acne, consider your skin’s current condition. While some skin types are poised to benefit immensely from this acne-fighting agent, others should be a bit more cautious with its application. Those who have acne-prone or oily skin can more than likely use the help of salicylic acid. Those with oily skin type have skin cells that tend to multiply quickly and stick together, and salicylic acid can dissolve the cement which holds them intact. It loosens blackheads, reduces oil, and can even manage discoloration from old breakouts. This acid is one of the few ingredients that can actually slow down the skin’s oil production and reduce sebum secretion to ward off the formation of clogged pores. It can also reduce the enlarged pores typical of oily and acne-prone skin, as the removal of debris shrinks the filled, stretched-out cells. If you have normal skin, you’re among the luckiest bunch. “Normal” refers to skin that’s neither too oily nor too dry and experiences infrequent breakouts. As such, salicylic acid is generally considered safe to use on normal skin when applied in moderation. Excessive strength or frequency may create an imbalance, and you might want to consider applying your product on an as-needed basis. It’s important to find a salicylic acid product that keeps the skin’s oil in balance without becoming too dehydrating. Therefore, those with dry skin types should use extra caution when applying this acne medication. Dry skin is characterized by a moisture deficiency; it lacks the necessary lipids to retain water and therefore becomes brittle, rough, or itchy. Some oil is necessary for skin to remain pliable, moist, and healthy; if your complexion is already bereft of its essential oils, the drying effect of salicylic acid could lead to more harm than good. Anyone with sensitive skin should exercise caution when trying a new product; until you identify the cause of your skin’s irritation, you’ll never know how it might respond to a new skincare ingredient. Highly-reactive, sensitive skin types should seek the advice of a skincare professional who can more accurately determine whether this type of product is right for your acne treatment. In some cases, a dermatologist may recommend salicylic acid as a treatment for more serious skin conditions such as eczema, keratosis pilaris, psoriasis or seborrheic dermatitis. Its powerful exfoliating properties make it a keratolytic agent – a substance that helps normalize the skin’s keratinization process (the natural shedding of skin cells). When keratin is broken up, it allows the thick, scaly plaques of skin which are associated with these conditions to shed more easily, leading to an improvement in congestion. Does Salicylic Acid Have Side Effects? Peeling: Peeling is normal, especially at first, as your skin sloughs off its dead skin cells. Sometimes peeling is the intended effect of salicylic acid – as in the case of strong facials – for it jumpstarts the acne’s healing process. However, constant or excessive flaking could be a red flag. If you notice alarming peeling or flaking, it’s time to reduce your usage or stop it altogether. Irritation: All acids have the potential to irritate or dry your complexion when used too often or in too high of concentration. If you use too much or too strong salicylic acid, you might experience redness and irritation in your complexion. Photosensitivity: All BHAs, including salicylic acid, make your skin more sensitive to sun exposure. Without proper protection, you may become more easily sunburned by UV light. Be sure to apply extra sunscreen when using salicylic acid to prevent damaged caused by sun rays. To avoid any potential side effects, use your product in moderation and stick to treatments with 0.5 to 2 percent salicylic acid concentration. When you begin introducing it to your skincare routine, start by using it every other day or night to determine how your skin will react. Increase your usage the following week, and again the week after, until any irritation slows itself. If you experience no irritation after two weeks, salicylic acid should be fine for daily use, but be sure to monitor the condition of your skin. Ease your way into salicylic acid gently in low concentrations, via a facewash or creamy cleanser, before jumping to strong spot treatments. Note: due to similarity in ingredients, those who are allergic to aspirin or have rosacea should steer clear of salicylic acid. It should also be avoided by pregnant women and women who are breastfeeding. Be sure to always read the consumer warning label on any product you purchase. As with all medications, consult a physician, dermatologist, or skincare professional for direction. How Does Salicylic Acid Compare to Other Acne Medications? Salicylic acid can be immensely beneficial and is typically considered a safe acne treatment, but how does it fare against other medications? When considering other skincare ingredients, salicylic acid, benzoyl peroxide and glycolic acid appear to stand above the rest. So how do they differ? This powerful ingredient has the ability to destroy the acne-inducing bacteria found within clogged pores. P. acnes, the most common bacterial strain that leads to acne, enjoys feeding off the pore’s oily, warm, moist environment. When it proliferates, the pore accommodates by increasing in size, thereby becoming overly enlarged, swollen, and sore. Benzoyl peroxide can fight against all types of acne lesions and is typically used to target more moderate to severe cases. Although salicylic acid has been proven mildly antibacterial, it has not yet shown to kill P. acnes. Many products will contain both salicylic acid and benzoyl peroxide to deliver simultaneous anti-inflammatory and antibacterial benefits. Both medications exfoliate and increase the cells’ turnover rate, but benzoyl peroxide is much stronger. It works much more quickly than salicylic acid (days versus weeks) but its potency comes at a cost; in addition to dryness, redness, and peeling, benzoyl peroxide has the potential to bleach clothing, towels, and washcloths. Although both promise to remove the buildup of dirt and dead skin, you should consider the severity of your acne before deciding on such a strong medication. Another ingredient you might frequently see listed in skincare ingredients is glycolic acid, which is an alpha-hydroxy acid (AHA). AHAs are water-soluble, not oil-soluble like BHAs; they can exfoliate skin, but they only touch the surface and cannot reach the intercellular ‘glue’. Due to their keratin-softening action, both AHAs and BHAs have humectant qualities and help retain the water in skin. However, glycolic acid is a much smaller molecule, which gives it the reputation of being the most irritating skincare acid; the larger molecule size and anti-inflammatory properties of salicylic acid make it less likely to cause skin irritation. Finally, AHAs tend to make skin much more photosensitive than BHAs, which increases the skin’s vulnerability to damage from exposure to the sun’s UV light. Generally speaking, salicylic acid is applied topically onto the skin rather than consumed orally in the fashion of systemic acne medications. It’s considered safer than other skin treatments, and makes for a good starting point to revamp your routine. BioClarity uses the highest allowable grade of salicylic acid, ensuring your skin gets the acne-fighting solution it needs. Our formula combines the power of salicylic acid with the soothing properties of all-natural ingredients, including green tea, chamomile, oat kernel, cucumber, licorice, and our proprietary ingredient Floralux. Harness the power of salicylic acid for your skin woes and benefit from a clear complexion, whatever life throws your way. Tired of trying countless methods to get rid of your acne? We have the solution for you.